The men's Pro Diver by Invicta is a bold and classic timepiece. 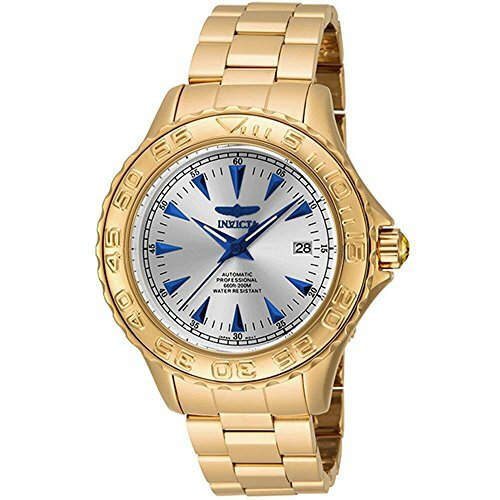 This striking timepiece has automatic luminous hands that comes in a comfortable polished 18k gold plated stainless steel bracelet. This versatile watch can be worn anytime of the day and event with its amazing 200M water resistance. Created in a blend of fashion and class, this Invicta timepiece exhibits a bold style that adds flare to your collection.